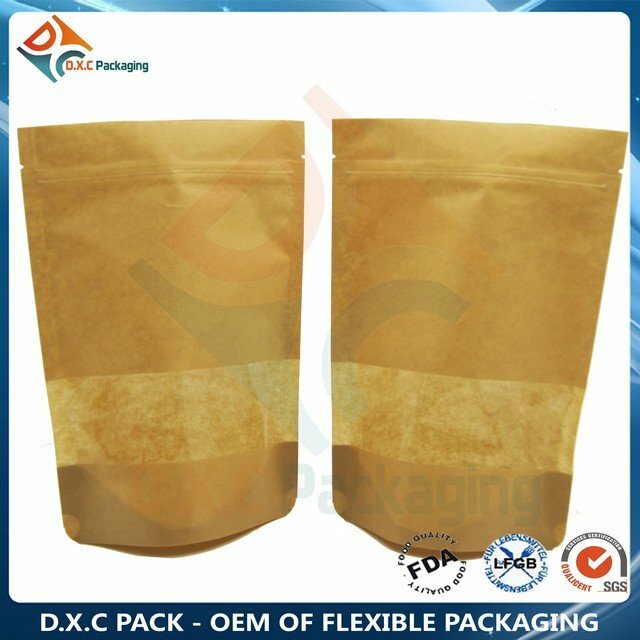 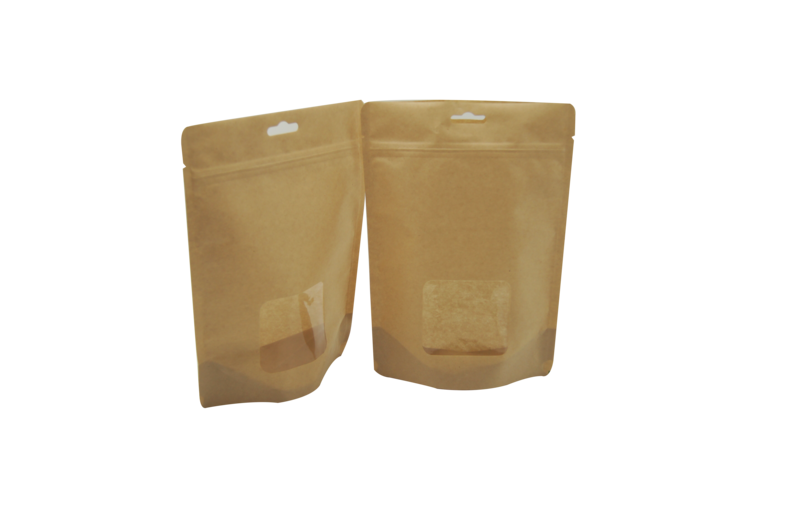 250g kraft paper custom window stand up pouches with zipper are consumer-friendly, durable and attractive. 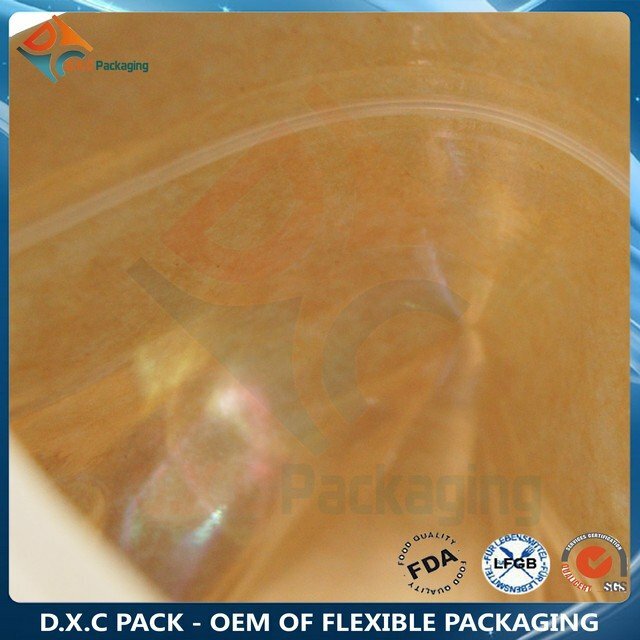 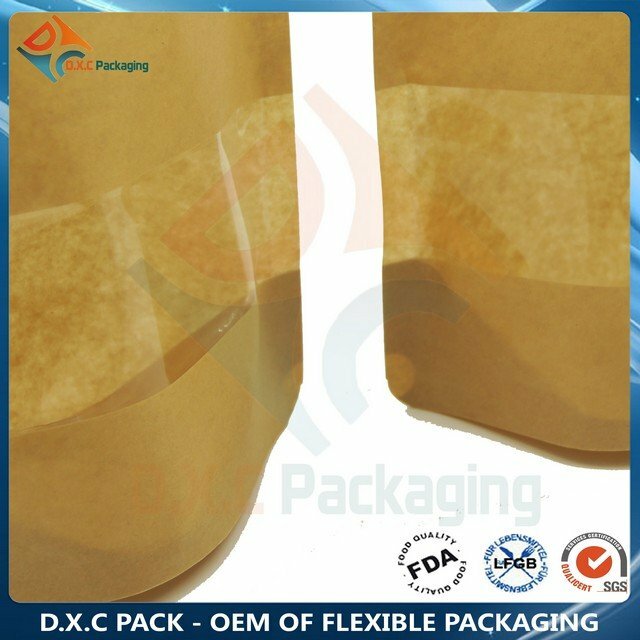 These metallized packaging solutions are a traditional brown kraft paper on the exterior with a metallized. 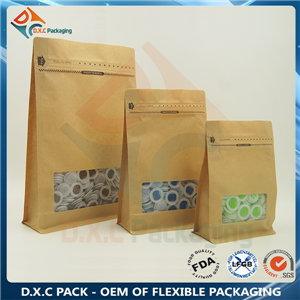 They provide an aesthetic that will call attention to your product and signify high quality. 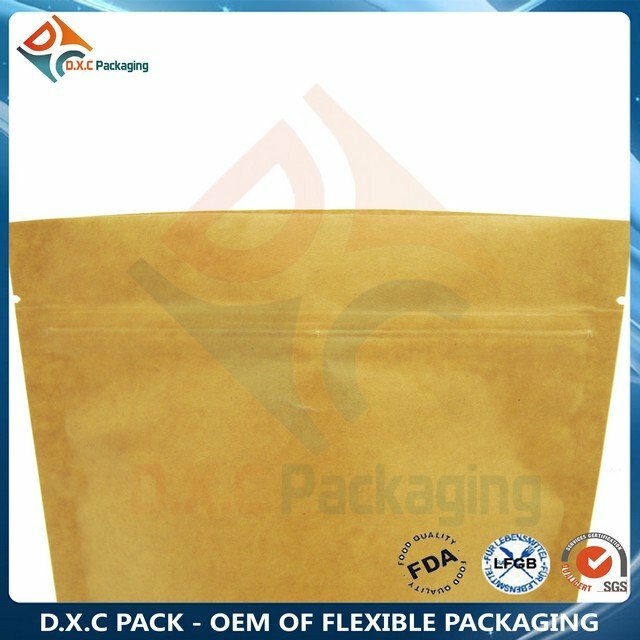 Usage: Snack Food,Coffee & Tea, Health Food, Cereal & Grains, Pet food & Treats. 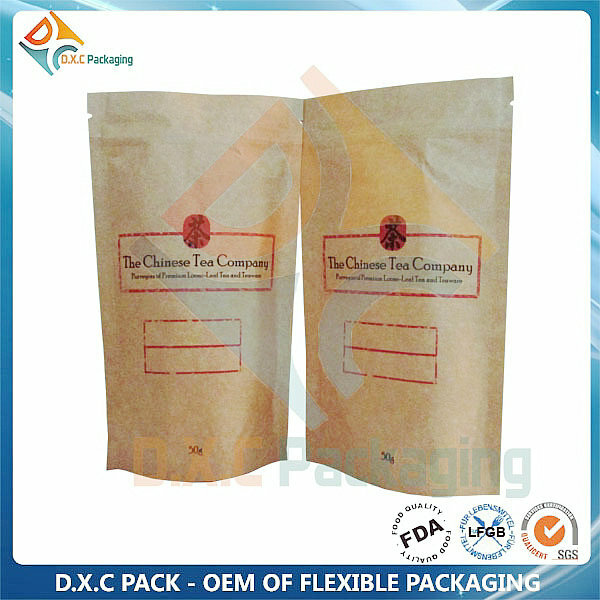 -2:High-quality Rotogravure printing with up to g colors, Flexo prntiny with up to 6 colors.